Bank voles are very small rodents which are often mistaken for mice. They have small compact bodies generally about 15cm from head to tip including a 5cm long tail and can weigh from 15 to 40 grams, they have small eyes and ears and a blunt nose. Their tails are shorter than mice and are covered in fur with their blunt noses also being the main physical difference between the two. The fur is a chestnut red or brown on the upper body with their undersides being a bluff to grey colour. Juveniles will have a more grey to brown fur colouration. The fore feet have four toes while the slightly larger five toed hind feet leave small tracks up to 2cm in length which are quite similar to the footprints of mice. Bank voles are not a particularly vocal species but will emit a limited range of squeaks when communicating using high frequency ultrasound which humans cannot hear. The bank vole has a well developed sense of smell which is important for receiving information on individuals who have used territorial scent markings in an area. Bank voles prefer habitats which offer plenty of dense undergrowth like those found in deciduous woodlands, hedgerows, copses and overgrown ditches, they will only inhabit coniferous forests that have not fully matured and contain a thick shrub layer. They avoid open areas lacking in ground cover but may travel across such areas using established pathways if necessary. Bank voles live in shallow underground burrows which they line with dried grass, feathers and wool, in areas with thick cover they construct ground level nests of grass and moss. Hedgerows are vital to bank voles in Ireland providing important dispersal corridors between their nests and feeding grounds. In good quality deciduous woodland habitats that can provide all of the bank vole’s requirements their home range may be as small as 50m2 with males generally occupying larger territories than the females. An individual’s territory will be marked out by regular urine spraying along the boundary. Bank voles are omnivorous mammals eating a wide range of foods such as berries, bulbs, seeds, fruits and fungi, while they will also hunt for insects, snails, larvae and earthworms. They are also sometimes known to be cannibalistic. In winter when foraging is restricted the voles will strip the bark from young coniferous trees and eat the soft edible tissue underneath. They are active during both the day and night but become more nocturnal in summer, they need to break up their activities with frequent periods of rest. 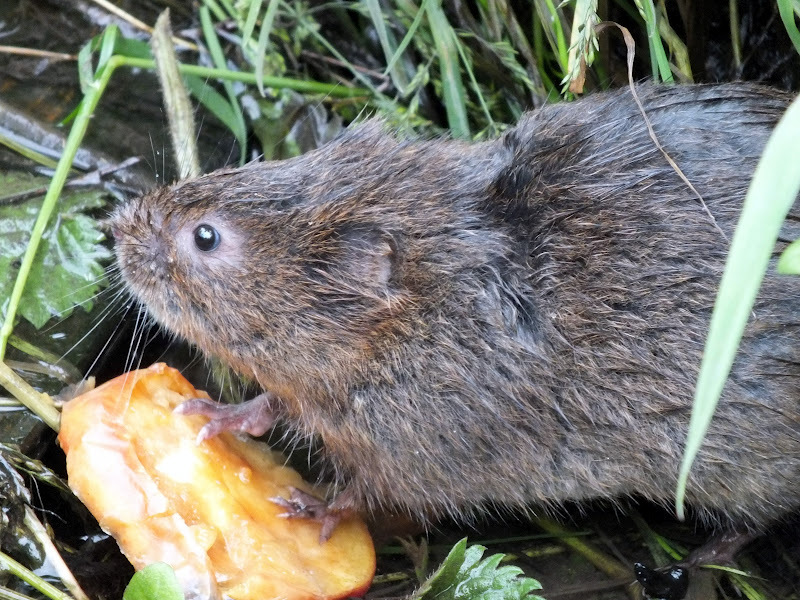 Bank voles are good climbers and can reach food sources several feet above ground level. 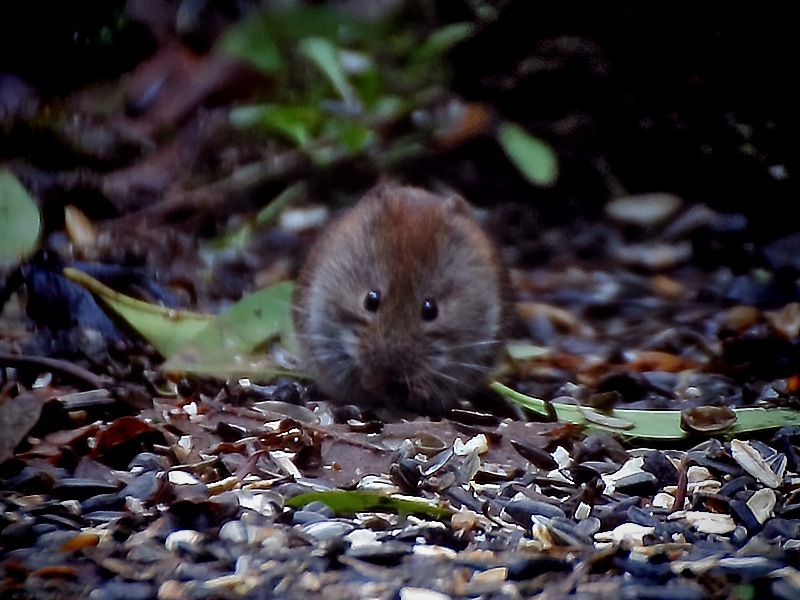 In winter the bank vole will create a store of seeds near its underground burrow to see it through the colder months. Breeding can occur all year if there is enough food available but it usually starts in April and ends in September. Ultrasound communication is used during mating between males and females. Once pregnant the gestation period lasts between sixteen and eighteen days, newborn bank voles are born blind and furless weighing around 2 grams and are called pups. Weaning lasts for two weeks in underground nests with the female being able to become pregnant again before weaning of the first litter is complete. Litter sizes vary but usually consist of three to five pups with breeding females likely to have up to five litters in a year. Parental care is given to the pups by the female vole only. Young bank voles will disperse soon after weaning to establish their own territories with pups born early in the season reaching sexual maturity before the summer’s end allowing them to breed themselves in the same season of their birth. The maximum lifespan in Ireland of a bank vole is 18 months with few newborn voles reaching full maturity. 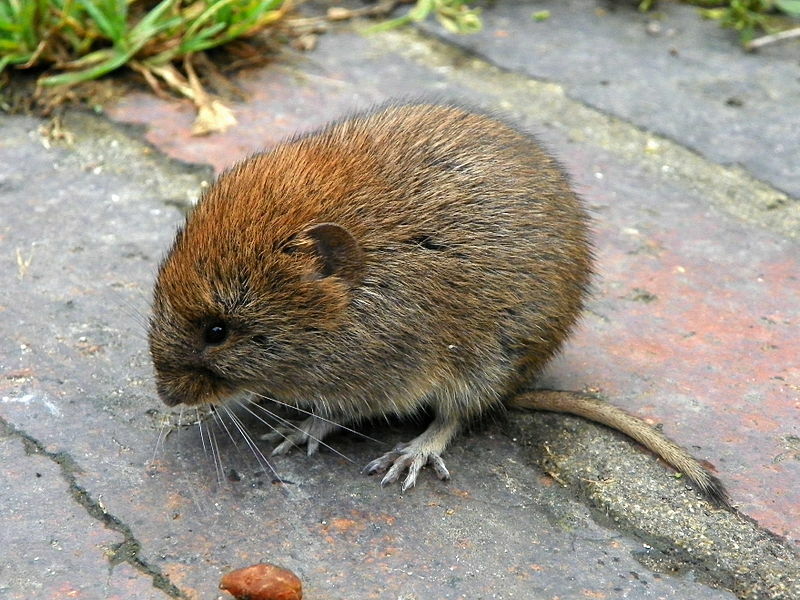 Voles are believed to have descended from an ancient wood mouse ancestor that originated in Asia and Eastern Europe. Bank voles now range across Europe except in the extreme north and south of the continent and are widely distributed throughout Britain. They are not indigenous to Ireland and may have been accidentally introduced to the south west of the country in the 1920’s. They were first discovered in county Kerry in 1964 and since then have steadily spread to habitats throughout Munster and Leinster at a rate of one to four kilometres each year, in good quality habitats they can number up to thirty individuals per hectare. By 1990 the bank vole had crossed the Shannon river and can now be found in county Galway and other areas of Connaught. Their expansion will most likely continue due to increased afforestation in the Irish countryside which when mature are the preferred habitat type of the bank vole. 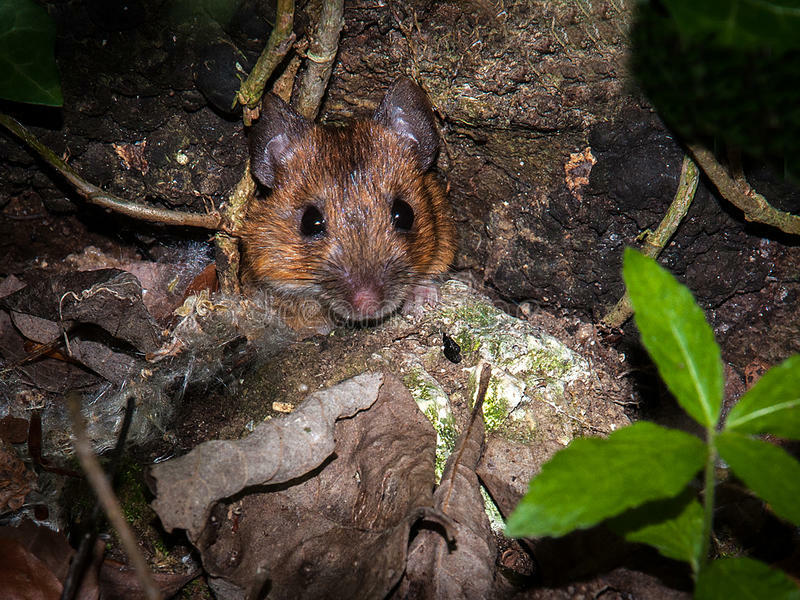 Like mice, shrews and other small mammals the bank vole is an important prey species for a large number of predatory birds and animals in Ireland such as the fox, stoat, kestrel and hen harrier. They have been found to consist of up to 35% of the total diet of the barn owl in some areas. The bank vole is a good form of natural pest control as they eat large numbers of insects and their larvae throughout the year. Their reproduction rate may be high but natural losses offset this meaning they rarely reach pest proportions, when they do they can cause damage in gardens and young forestry populations when control measures may be necessary. Due to their small size they are extremely sensitive to any adverse changes in their environment for example an increased use of pesticides or herbicides in some habitats may directly kill bank voles or reduce the supply of insects on which they are totally dependent. The increase in the numbers of domestic and feral cats in Ireland could be having an adverse effect on the bank vole population especially in more rural locations. Currently the bank vole is not protected under any international, European or Irish legislation.